DNS Accountants is amongst the most experienced organizations delivering services in the field of accounting and finance management. Accounts and finance management is a necessity for all the organizations and many new start-ups and small businesses coming up these days have further increased the demand for these services. We provide multiple services in the accounting and finance sectors, especially to the small businesses and start-ups. Finance management and accounting are amongst the important departments of any organization for these two departments have a significant bearing on the company’s profit. A successful business or start-up demands a support system and expert accounting and finance services are one of the most important amongst them. Well planned accounts and finances not only ensure huge profits for the firm but also save the same from many possible legal issues and penalties. DNS Accountants with its experienced professionals assists you with all kinds of accounting concerns that your business may encounter at any point in time. We, with our highly skilled accountants, ensure the best possible solutions to all your accounting and finance related issues and that too within minimum possible time. We offer multiple services including guiding our clients through the initial phase of their business to providing them with the kind of accounting experts they need to meet their requirements of activities. DNS Accountants is an award winning accountancy firm delivering services successfully since last many years. We have a huge customer base across the country and are well known for our intelligent business solutions. We have some of the best accountants in the region who have helped us rise above the competition. We provide a regular newsletter to all our clients. Our newsletter provides deep insights and suggestions on how organizations and start-ups should manage their accounts and finances. We also keep our clients up-to-date with new laws, rules, methods, strategies and solutions in the fields of accounting and funding through this newsletter. We ensure the best solutions and strategies for our clients when it comes to managing their accounts and finances. We believe in customer satisfaction and strive hard to achieve the same for our every single customer. Clients are our priority, and their satisfaction brings peace and joy to us. We also assure our customers that they would not be paying any penalties once they enroll with our services. Woking is a modern city and houses a lot of small businesses and start-ups. This town in England enjoys a successful economy with most of its population possessing enough wealth and satisfactory jobs. The major sectors contributing to the economy of this city includes managerial jobs, technical sectors, and manufacturing industries. Most of the local employment in Woking is the industry. It is amongst such districts in the UK that are least reliant on public sector employment. A large number of private companies and business houses offer job opportunities and numerous career possibilities here. Private sector being the major employer in Woking, motivates people here to start their own businesses and work on their ideas. This city is a great place to start your small business or start-up for it provides all the desired resources on lower prices as compared to the rest of UK. Due to the availability of all the required resources, Woking is witnessing a significant number of home grew businesses, including the start-ups. Since all these firms and start-ups need assistance in managing their accounts and finances, Woking also presents a great scope for services of DNS Accountants. DNS Accountants has a robust mechanism to tackle all the problems that are usually faced by small businesses in Woking relating to accounting, taxation, and finance. 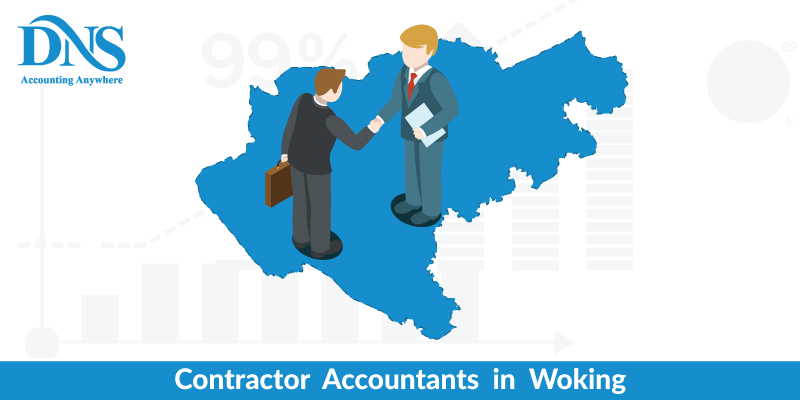 We are the most experienced organization when it comes to providing Contractor Accountants in Woking. Contractor accountants that we provide are exceptionally talented and highly qualified in their fields and ensure that maximum benefits are enjoyed by our clients. There is also a high demand for chartered accountants in Woking, for this city is the new hub for small businesses and start-ups around London. Same is the case with high demand for tax accountants in Woking. All commercial organizations need chartered accountants and tax accountants for supervising their accounts and finance matters and providing them with proficient tax management. And so with an increasing number of businesses in the city, the demand for chartered accountants and tax accountants is also increasing. Computing technology and the internet have entirely changed the way organizations used to manage their accounts and finances. Now there are a large number of effective software available in the market that automate a lot of calculations and processing involved while managing these two domains of an organization. This popularity of this accounting software has created a demand for a significant number of IT contractor accountants in Woking. IT contractor accountants handle your accounting and finance department using this software and even train your staff for using the same as and when needed. A large number of old and even newly established small businesses also demand small business accountants in Woking. In all, due to immense potential for start-ups and new businesses, Woking also has got an excellent scope for learned accounting services and is in critical need of their expertise and services. Our Tax Investigation Cover service helps you in the case of investigations initiated by HMRC. Even if you have paid all your taxes on time, still HMRC can open an inquiry on your business, if they suspect something amiss. 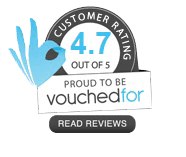 Through this service, we ensure the full protection of our clients from all kinds of HMRC’s surveys and our experts handle all the communication with the department till their satisfaction. Nearby cities like Egham, Guildford, Staines, Sunbury, camden and Slough also present enormous potential for small businesses and start-ups. And hence DNS Accountants is providing all of its accounting solutions and services in these locations as well.